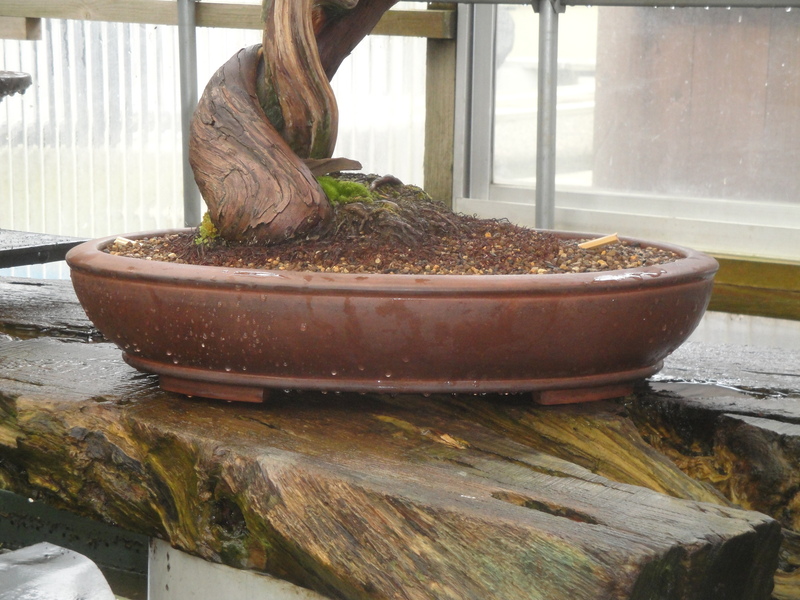 Japanese Bonsai deserving to be deemed “Kichou Bonsai” (important Bonsai masterpiece) most likely have a long history living in a pot maintained by caring individuals throughout the past. 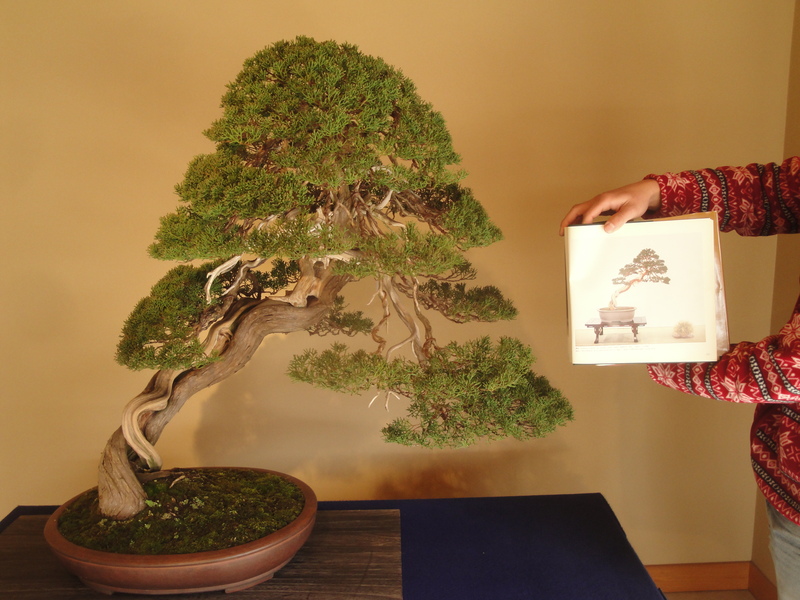 Even during difficult times such as WWII, Bonsai stayed alive because people never wavered in keeping them that way. 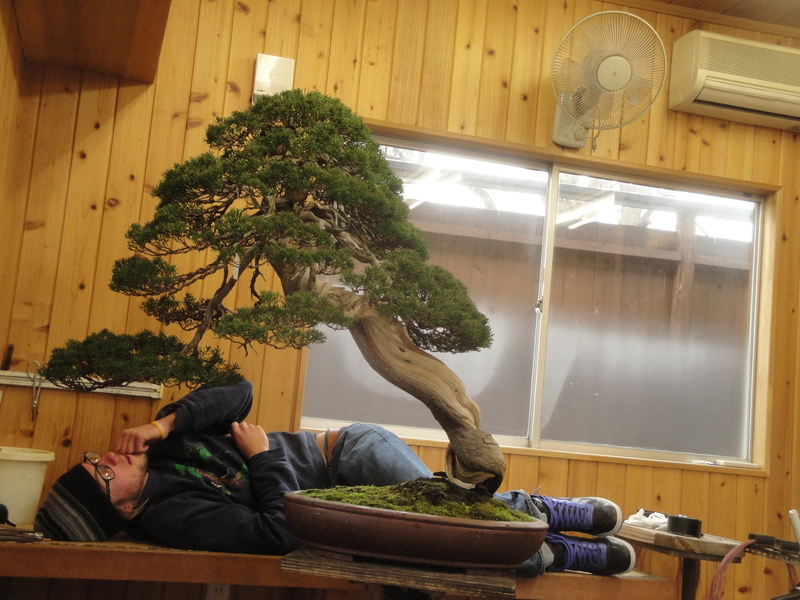 In my mind, Kichou Bonsai represent many things besides the title and dog tags they are given. They are all we held and still hold, living objects of great importance and age; a symbol of peace. 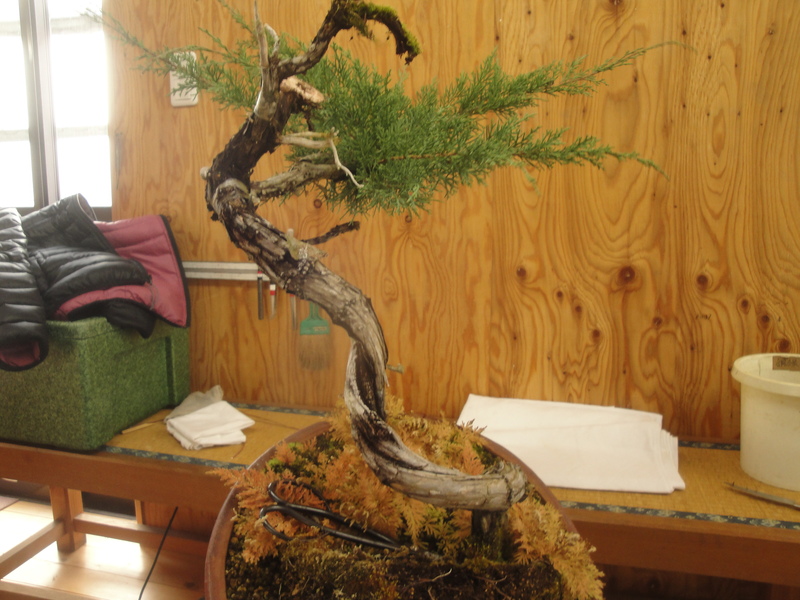 In this post I share with you a Shinpaku Juniper that I prepared for the Kichou Bonsai judging that took place a few days ago. Here I am in deep contemplation before repositioning the branches. Unfortunately this is the only before pic! We finished repotting the soon to be Kichou and luckily my good buddy and partner in crime was there to capture the action, thanks for the great shots Tyler! I won’t fault him for standing around taking pictures when he has a collection of paparazzi photos like the one above… since this was taken I haven’t dozed off a single day during our lunch break… bad Kohai!!! Ok I lied. 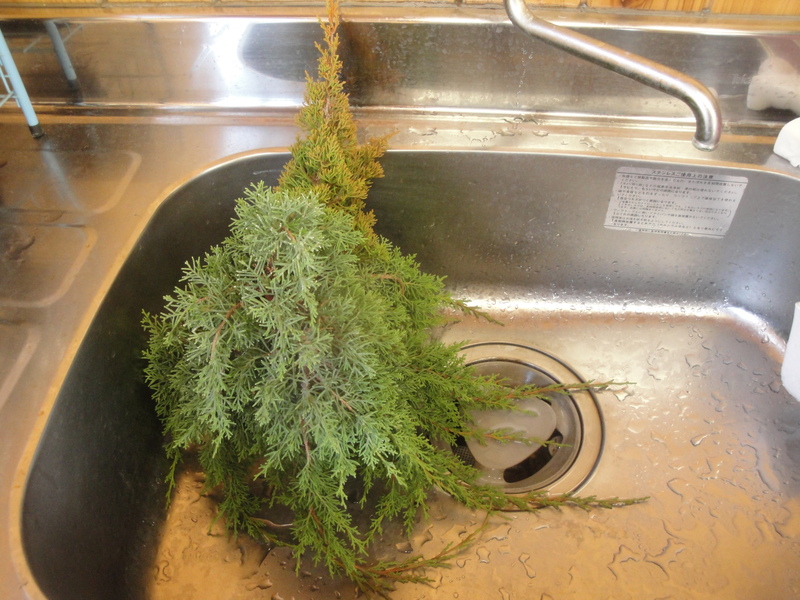 Here is a before of the tree after repotting. Looking spiffy in a antique Chinese Shudei. Soft yet sturdy, a good match for this tree. 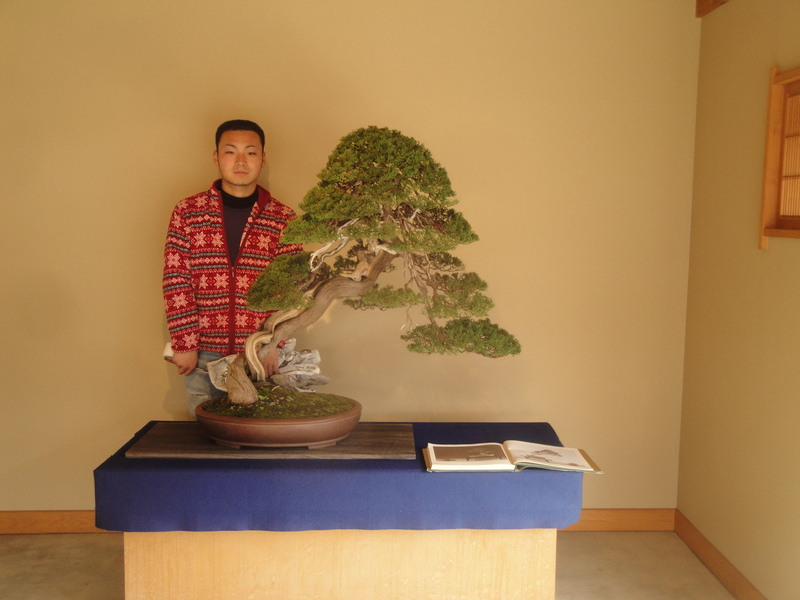 Good Bonsai are often dealt between client and professional like professional athletes in some ways. My teacher acquired this one from a trade with one of our clients in Niigata. 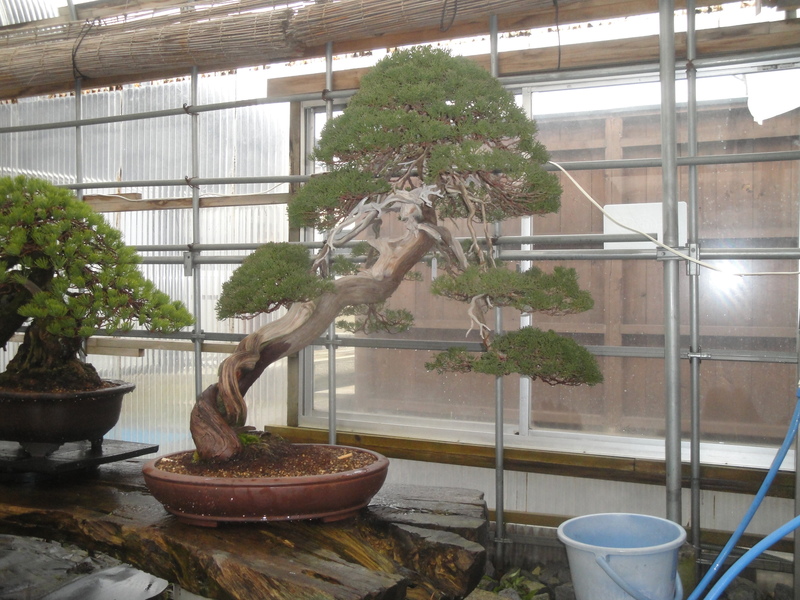 We always like working on his trees because he keeps them very healthy and has an impressive collection of natural Itoigawa (un-grafted), which are difficult to come by these days. In Japan, many have died in the past, making those that are left pricey even in todays lagging economy. 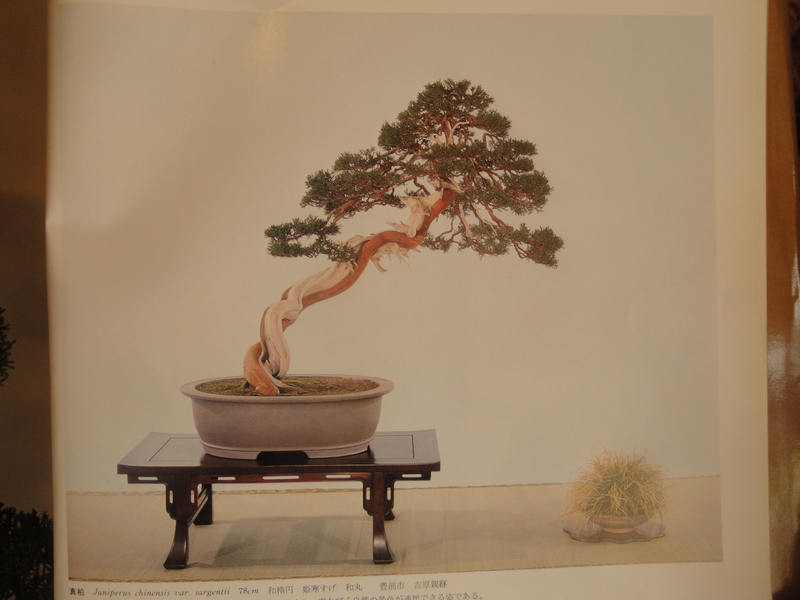 The same tree pictured in a past Kokufu album. There you have it, history in the making! Both require a little more adjusting! Any work on the branches was very subtle, as the tree was previously wired last summer. However, a closer look at the overall balance and cleaning up the lines were routine but necessary tasks nonetheless. 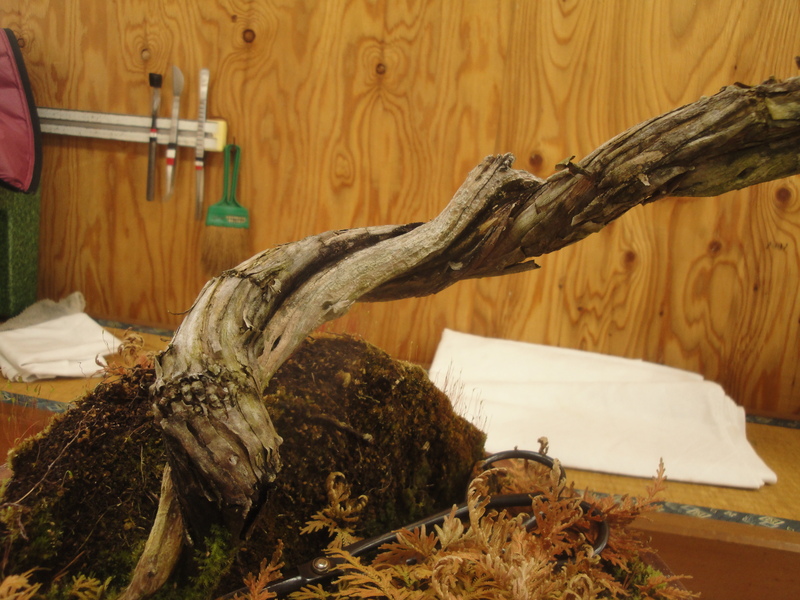 Refinement can be some of the most head-splitting work in Bonsai! In the end your attention to detail will always pay off… so only look on the bright side! 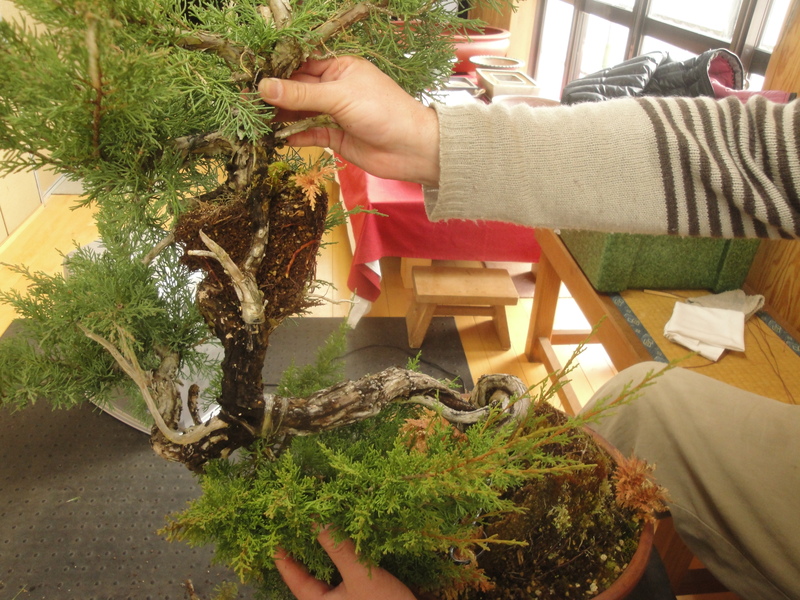 Only by doing this will our Bonsai reach a higher level, along with our patience and understanding. After re-working the top left side of the apex. Can you see the change?! More compact and in line, keeping in mind the natural flow and emphasizing the movement to the right. A nice root stand was chosen. Presentation is very important to the judges, and they are strict indeed. 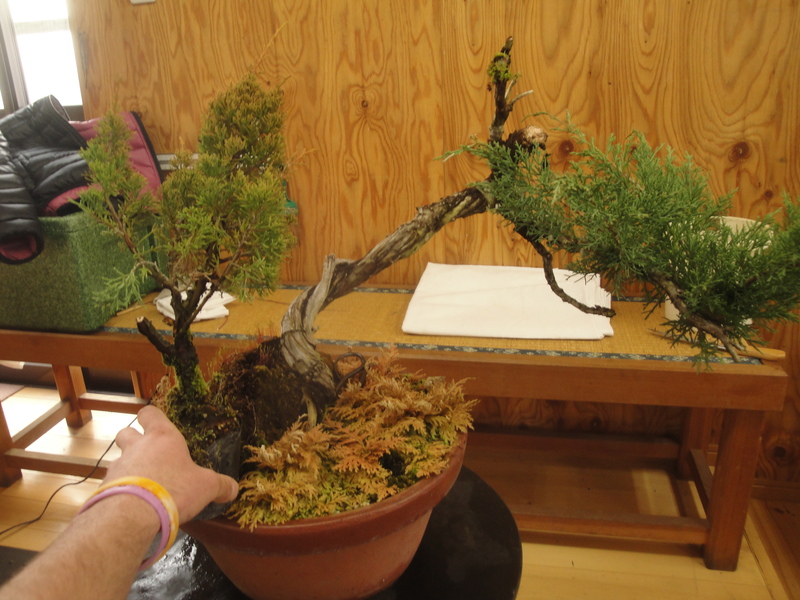 If you enjoyed this post, check out Tyler Sherrod’s blog for complete coverage of our Kichou Bonsai entry’s this month! Happy blogging I’ll be back with more soon! This entry was posted in Uncategorized on March 22, 2012 by reelbonsai. 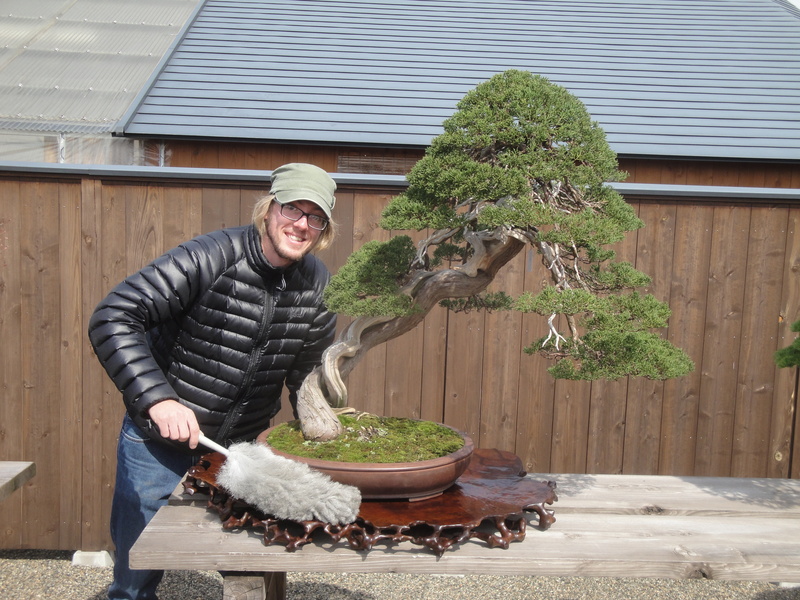 A few days ago Tyler and I had the luxury of “house sitting” the nursery while team Japan (our oyakata and the other apprentice named Yuusuke) were out of town hunting for new trees and various Bonsai treasure via auctions in Tokyo and Saitama. Although we are expected to take care of business in his absence (no slacking off! Ok, maybe a little…) we get the rare opportunity to work on some of our own trees and experiment, using some of the knowledge we work with on a daily basis in our own way. This is a tree that was grafted for fun a couple of years back by one of our clients. As well as an extreme change in planting angle, roots and a branch (a variety more suitable for refinement) were added using approach grafts. I’m sure many of you have seen this technique used by Iiura-san, one of the grafting godfathers of Japan. I initially brought this bunjin into the workshop to get a closer look and look for signs of success, but after wiggling the branch grafted on top, it was clearly a failed attempt just by the way the thing moved if you were to touch it in the slightest. The root graft felt solid enough, so we decided to chance it and end it with one fell swoop… off with the head! I won’t go into great detail about Juniper grafting techniques in this post, just always take great care and be cautious before being bold with these kinds of decisions! Sometimes the only way to find out is by taking chances, so always leave many branches and make sure your juniper are strong and growing well before grafting. And if you know you want to graft, hold off on repotting as this tends to slow the tree down a bit. The type of approach grafting we like works better on larger trees, as the scions are not little cuttings, but rooted seedlings. This way you can water the roots of the seedling, keeping it alive until it has fused with the parent. Branch grafts using this method, if performed correctly are very efficient, taking only one growing season before the supporting roots can be chopped. Vice versa, root grafts tend to take longer because you want enough roots to grow before discarding the original mass which can destroy the tree if the graft was faulty in some way. One way to tell is by simply cutting off the foliage of the grafted sapling, if the roots continue to grow then you know they are helping support the tree. Also, if you notice swelling above the area of insertion, you may assume that things are going well. 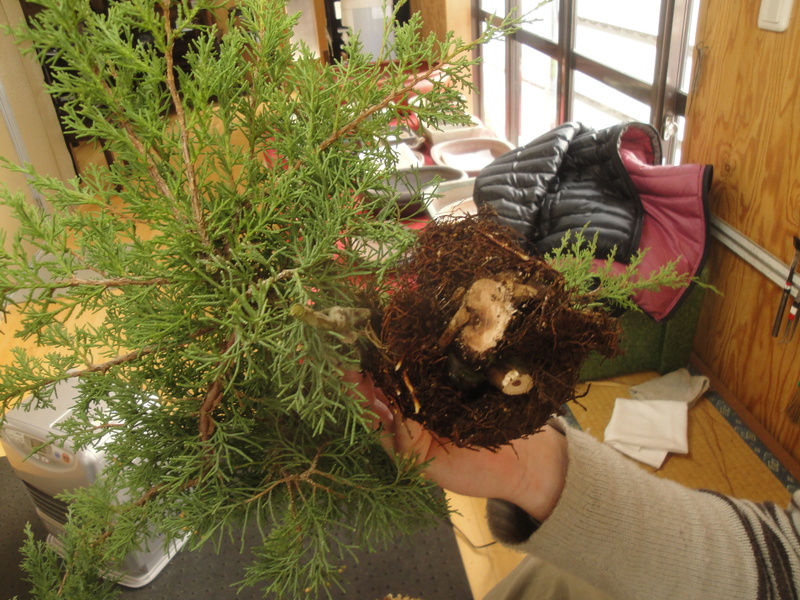 In the case of THIS tree, we had nothing to lose, and two or three years had passed since the grafting was done… so all in!!! A close up - Tyler holding his new tree! The next step will be to pot this baby up in a growing container and let nature have its way. Next year we can graft better foliage and eventually end up with a decent shohin with lots of deadwood, perfect material for our future experimentation. Alas, we have two tree’s with unworthy foliage. However, we now have clarity and a clear game plan. Keep in mind, an amateur first grafted freely on this poor guy, and who knows what was going through his mind. Before we had a mass of confusion with a nice lower trunk, now we have two trees with good potential. But what to do with the lower trunk? More grafting coming this June! Here are some more shots for your contemplation. 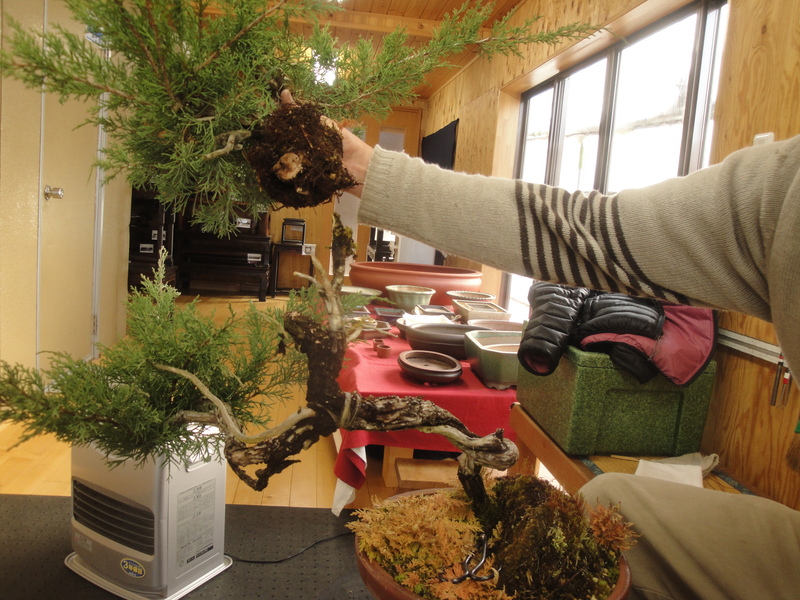 Another view revealing the movement, critical to have in a bunjin Juniper! Still haven’t decided on the front and inclination for the lower half… I’ll take another look when summer arrives, grafting time. Hope you enjoyed the beginning of this project, I’ll continue documenting the progress of both tree’s and share the results! We should see some interesting results within the next 2 years, hope you look forward to seeing them! 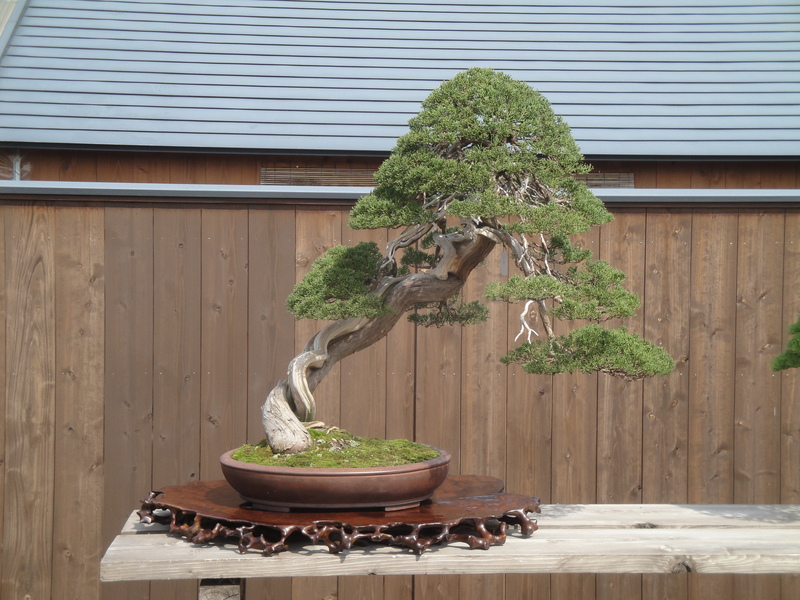 This entry was posted in Uncategorized on March 17, 2012 by reelbonsai.